(Newser) – Last week, the parents of a Minnesota boy murdered 27 years ago finally learned the whereabouts of their son's remains. On Tuesday, they learned for sure who killed him. 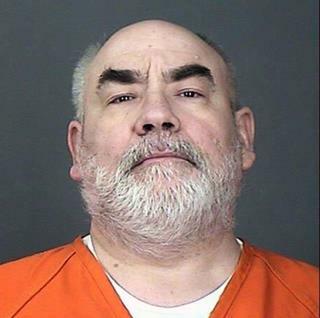 Danny Heinrich, a 53-year-old resident of Annandale, Minn., admitted in court that he kidnapped, sexually assaulted, and murdered 11-year-old Jacob Wetterling, reports AP. It was Heinrich who had finally led authorities to Jacob's body, and on Tuesday he recounted the wrenching details of the 1989 abduction, reports the Minneapolis Star Tribune. While driving on a dead-end street, he came across three boys on their bikes, and forced two of them—Jacob's brother and a friend—to run away. Then he put Jacob in the front seat and handcuffed him. "What did I do wrong?" he said the boy asked. Heartbreaking...I can't imagine how his parents will get through this. Pure evil. your tears and anger and proposals for punishments do nothing to add insight or change the world but they make all of you big stars in your own minds and children go on being tortured and killed. Read. Behold the banal sameness! On Newser right and left are the same. They just sling their mud in opposite directions. oops I forgot to leave a comment like yours: I must be a deficient, evil human being! This is why child molesters should be shot in back of the effing courtroom as soon as they're convicted.